Intrauterine contraception is the most commonly used, long acting, reversible contraceptive worldwide. It's popularity is because of its high efficacy, safety, ease of use and low cost. The efficacy is the same as sterilization but has the advantage of reversibility and it is non-surgical. IUDs in use today are made of plastic and release either progesterone or copper to enhance the contraceptive effect and are not the IUDs of the past, like the Dalkon shield. IUD use is more common in other countries, but use in the United States has been rising as more women discover the benefits of this type of contraception. IUDs are very popular for personal use among female OB-GYNs. The most common myth is that today’s IUDs cause infection. This belief stems from problems in the construction of an IUD from the 1970s – the Dalkon Shield. IUDs in use today are constructed completely differently using monofilament tail strings. 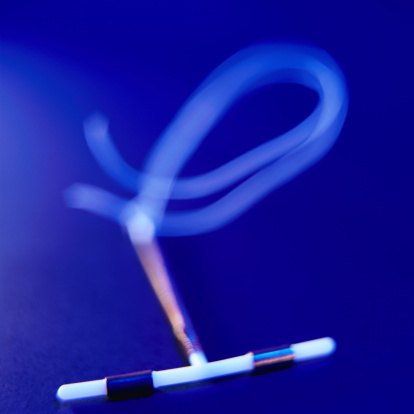 Another frequent misconception is that IUDs increase the rate of ectopic pregnancy. Actually, the overall risk of ectopic pregnancy is very low with an IUD in place, although if pregnancy does occur it is more likely to be ectopic. IUD’s are also NOT associated with an increased risk of infertility. It is safe for most women including teenagers and women who have never had a baby. It can be used postpartum and as emergency contraception (copper IUD only). It is a long acting reversible method of contraception with very few side effects. In this day and age where cost of medicines are a concern, it is also very cost effective when used over the life of the IUD. The presence of the IUD in the uterus causes a foreign body effect as well as local changes in the lining of the uterus because of the medicine released (either levonorgestrel or copper). This foreign body effect is toxic to sperm. Several studies have been done that measure whether pregnancy hormone (HCG) can be detected in women with an IUD. 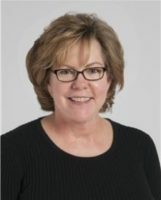 No detectable level was found indicating that “chemical” pregnancies were not occurring. IUDs have a variable effect on suppressing ovulation (egg making, levonorgestrel IUD only). This is not thought to be a major mechanism in pregnancy prevention. The TCu 380A IUD is T-shaped and there is a copper wire wound around the stem. It is approved for up to 10 years of use. It is highly effective with a pregnancy rate in the first year of use of 0.6%. Lack of exposure to hormones and the continuation of menstrual cycles in women who prefer cyclic bleeding. It can be used for emergency contraception. It is the least expensive. It has a slightly, higher failure rate than the levonorgestrel containing IUDs. No protection against genital tract infection, while the levonorgestrel IUD thickens cervical mucus. Menses may be heavier, longer, with more cramping in the first months after insertion of the copper IUD. However, many women see this abate after 6 months of use. It may worsen menstrual problems such as heavy periods, painful periods, or endometriosis type pain. The Paraguard is best for women who want to avoid hormones and have a long term 10 year option. There are 4 models of the Levonorgestrel (LNG) containing IUD. Each levonorgestrel containing IUD has different doses and the length of time of use varies between 3 and 5 years. Each varies in the amount of LNG as well as the width of the IUD in its insertion tube, which can influence ease of insertion. All 4 models are T-shaped. Mirena - containing 52 mg LNG, can be used up to 5 years and is 4.4 mm wide (first LNG IUD approved). Liletta - containing 52 mg LNG, can be used up to 3 years and is 3.8 mm in width (less expensive than Mirena). Kyleena - containing 19.5 mg LNG, can be used up to 5 years and is 3.8 mm in width (Newest LNG IUD approved). Skyla - containing 13.5 mg LNG, can be used up to 3 years and is 3.8 mm in width (Mirena’s little sister good for women with small uterus and who have not had a baby). The Mirena IUD is FDA approved to treat heavy menstrual bleeding and may avert the need for a hysterectomy. Kyleena and Skyla are only FDS approved for contraception, so they are NOT FDA approved to treat heavy menses. The main benefit is lighter or even absent menses. This is best for women with heavy menses or women who won’t mind if their period disappears or is markedly reduced. The effect of LNG, which is a progestin, is primarily at the level of the lining of the uterus (endometrium), and therefore does NOT result in a high systemic concentration that occurs when using other contraceptive methods like the birth control pill, implants and Depo Provera. The LNG IUD does not contain estrogen and therefore is a choice for women for whom estrogen is contraindicated. Decreased overgrowth of the lining of the uterus (endometrial hyperplasia), which in some women can be a uterine cancer precursor. Most of these bleeding problems slowly improve over the course of the first six months. HOW TO SELECT WHICH IUD IS BEST FOR YOU? IUDs are very safe, highly efficacious, long acting reversible methods of contraception which are being used by more women in the USA. There are few contraindications to their use and they are an option for women of all ages, regardless of history of childbearing. Talk to your women’s health care physician about your preferences, goals and desires for future childbearing to find out what might be the best option for you!